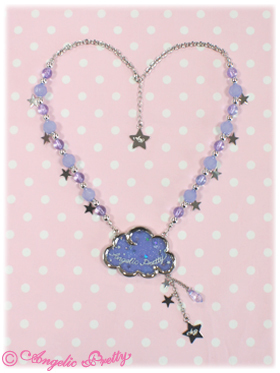 Angelic Pretty - Misty Sky Necklace in Lavender. Worn once, comes with loose tag, kept in storage all summer. 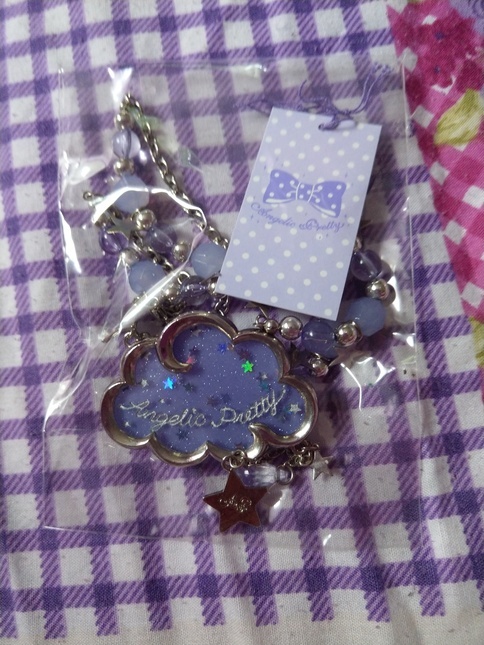 Hi guys, thank you for looking at my auction! 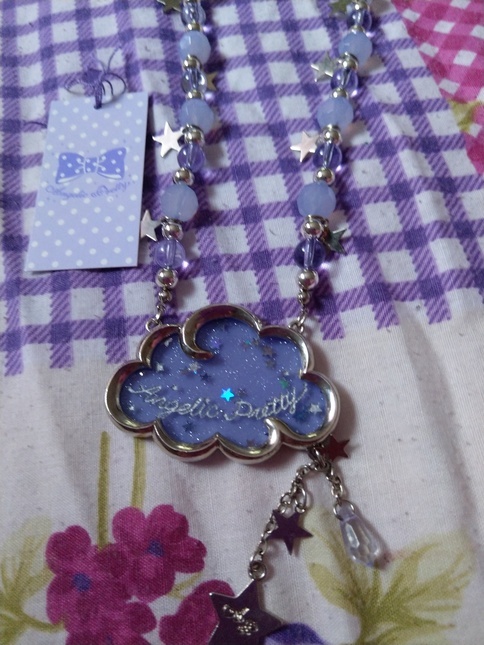 Here I’m selling my Angelic Pretty: "Misty Sky" necklace in the Lavender colourway. 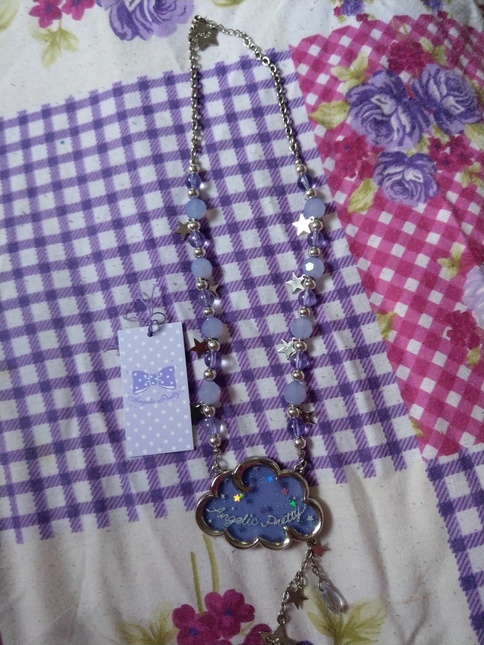 Bought from a kind seller on here, comes with a loose tag and has been worn once during a local community meet up. Kept in a non smoking home, I do own a cat, however all my items are kept covered and protected with packaging/ garment covers.I ship worldwide via “Royal Mail signed for/tracked” ( So sorry, I ONLY accept PRIORITY methods for the buyer's/my own protection to avoid any risk of loss in transit). 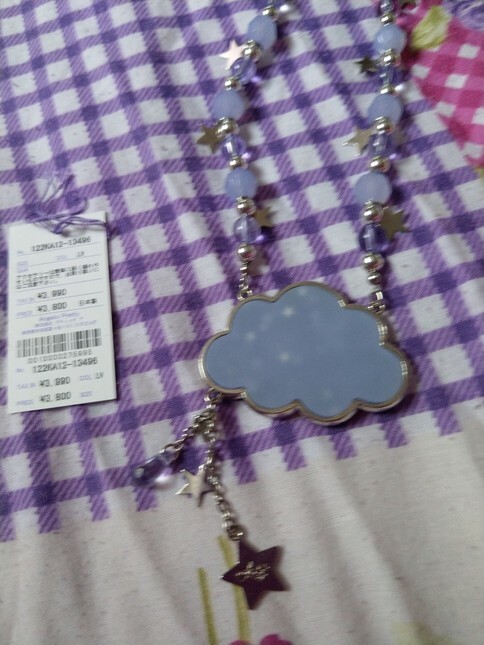 Please let me know your location and I shall let you know the cost of shipping fees. Can accept holds/payment plans if needed! (10% deposit required upfront).